Entrusted Heritage: Don't Buy It! One of the most valuable things God has taught our family over the past year is to STOP before we buy something. Whether the item be big or small, a need or a want, He has taught us to stop and pray about it as a family. For the past year, we have lived off the emergency fund we built up for many years. We had sensed God leading us back to the States from having been overseas for 8 1/2 years. Coming back into the American job and economic crisis has been very hard, to say the least. It felt as though everything we put our hand to was not flourishing. Eric has worked a few different jobs and has also done some supply preaching and teaching on the side but it seemed as though we could never get ahead. Praise the Lord, we have no debt so that wasn't a concern for our family. Of course, many loving and caring people would give us money here or there - including family. They knew it was a rocky time for us. In the midst of this difficult time, God taught us a valuable lesson. He taught us something so basic, something so Biblical, something so vital that EVERY believer, rich or poor, needs to do! God used the Financial Freedom seminar by Jim Sammons to teach us this principle and we are forever thankful for learning it! The lesson was to purpose to pray for each need and want as a family. If you are well to do, it might be harder for you to do this because you will be tempted to think that you don't need to "bother" God with these matters. But whether you are rich or poor, you CAN purpose to do this! When we began, we found that not only did God supply ALL our needs (and some of our wants) but that he would give us an amazing story to share! 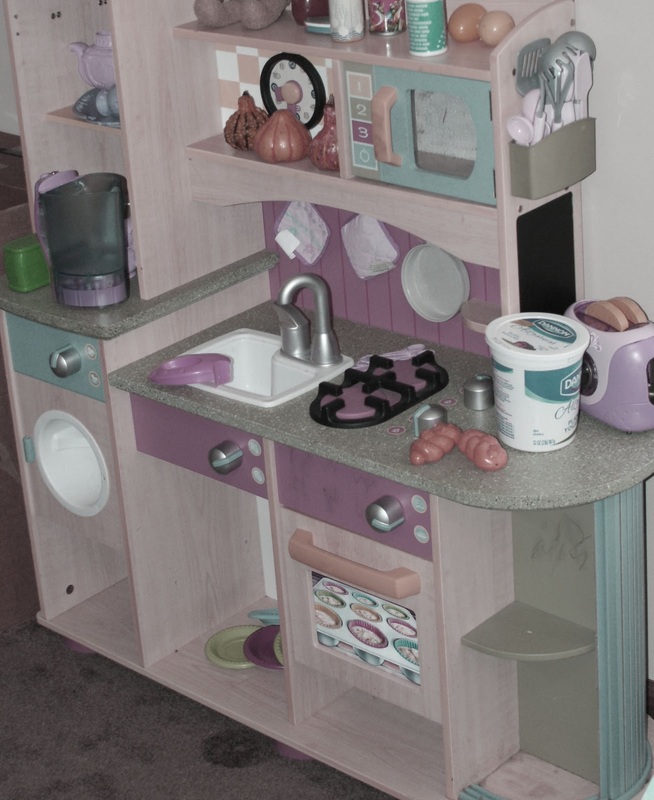 To give you an example... One day, while at Goodwill, my wife and daughter spotted a play kitchen set. This was certainly not a need for our family! Most of our children's toys and special items remain overseas and even though we didn't have a lot of toys for them here, it still wasn't a need. My wife decided to let me know about the set and asked if I'd look at it to see the quality, etc. So my oldest daughter and I went to look it over and talk about it. Having learned this principle, we both walked away from the toy and headed toward the door of the store. On the way, I said: "Olivia, I'd like us to pray about that play set to see if perhaps God would like to give it to us or not. Perhaps He'd rather us not spend our money on that for now." She agreed and we began to softly pray together on our way out the store. Before we reached the door, however, one of the store clerks came running to us asking us to take the play kitchen set with us. We told her we were praying about it but weren't ready to purchase it. She then told us that someone had just purchased it for us. Neither of us could believe what we were hearing! Apparently, someone in the store had seen Olivia and I looking at the set and decided they wanted to purchase it on our behalf. The strange thing is that we never saw anyone else close to the toy area that day and every time Olivia and I would talk to each other, it was in a very low volume. Well, guess what? When we got to the car with the large toy kitchen AND this amazing story to tell the rest of the family - it was awesome! Our kids not only learned a valuable lesson about allowing God to provide that day but they also learned that God cares about the "small" things as well. They couldn't keep silent about the matter and told everyone they met up with. Soon after that incident, we felt led to begin a "God's Provisions" book complete with pictures and written testimony of how God has provided for so many things we've prayed for...things ranging from food to a piano! But more importantly, we have amazing stories to tell others about God's loving provisions and care. He gets all the glory! God isn't bothered by our prayers asking Him to meet our needs. He delights in hearing from us and in our patience in waiting on Him to meet those needs. We have testimony after testimony of how God has taken care of us...even when our bank account was dwindling. He is larger than our emergency fund, and larger than our account...He is the great provider! Thank you for sharing such a cool way that our God works! (That's an adorable kitchen!) Have you ever found that God led you to pay in the end for what you were asking about, or did He always provide it other ways? Great question! The main focus of praying before buying is to see whether or not God WANTS us to get the item. In waiting, we allow God the opportunity to provide as He desires (through lowered costs, through someone else, or through a change in our desires/ambitions). This is a beautiful story and very encouraging to me as well. Thank you so much for sharing! I just found your blog and think it is wonderful. Thank you for such a great comment! This is definitely not easy. God can provide by allowing the item to go on sale, or by providing the exact budget money you need for it. He also may provide a ‘used’ one through someone (without you letting them know). Sometimes, He will simply not provide and not give you the ‘green light.’ The key is to continue in prayer, and to be vigilant. Don’t forget – include your children in this process, they can be a step ahead of the rest of us in this discipline when they become adults!